A new study suggests wine production will shift to new areas as global warming causes suitable areas in California to shrink. Climate change could dampen spirits. Literally. That's according to a new worldwide analysis of global warming on wine production, which appeared this week in the journal Proceedings of the National Academy of Sciences. Researchers found the area suitable for wine production will shrink by as much as 73 percent by 2050 in certain parts of the globe — about 70 percent in California — with high potential for stress on rivers and other freshwater ecosystems, as vineyards use water to cool grapes or irrigate to compensate for rising temperatures and declining rainfall. Scientists, including those at Stanford University, have long known that land suitable for winegrowing was in deep trouble because of the heating of the Earth. But the new study suggests wine production will shift to new areas — such as the Rocky Mountains near the Canadian-U.S. border and New Zealand — as climate change makes the existing ones less hospitable. The move, the scientists say, puts other species, such as the grizzly bear, gray wolf and pronghorn, at risk. "Climate change is going to move potential wine-producing regions all over the map," Lee Hannah, the study's lead author and senior scientist for climate change biology at Conservation International's new Betty and Gordon Moore Center for Ecosystem Science and Economics, said in a statement. "These global changes put the squeeze on wildlife and nature's capacity o sustain human life in some surprising places," Hannah said. "Consumer awareness, industry and conservation actions are all needed to help keep high quality wine flowing without unintended consequences for nature and the flows of goods and services it provides people. This is just the tip of the iceberg — the same will be true for many other crops." The researchers looked at nine major wine producing areas: California, Western North America, Chile, Mediterranean Europe, Northern Europe, Cape Floristic region of South Africa, parts of Australia with Mediterranean climate, parts of Australia with non-Mediterranean climate and New Zealand. Most American wine comes from the West Coast — Napa and Santa Barbara Counties in California, Yamhill County in Oregon's Willamette Valley and Walla Walla County in Washington's Columbia Valley. 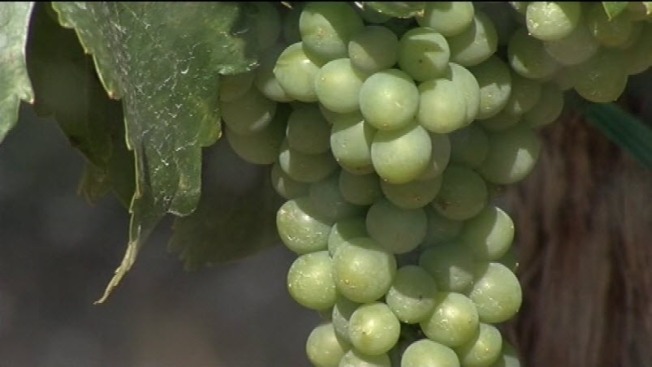 California alone, according to Stanford, produces on average more than 5 million gallons per year, accounting for about 90 percent of the nation's total wine production, according to the Wine Institute, a trade organization representing California winemakers. The institute estimated the retail value of the state's wine industry in 2010 at $18.5 billion.